03 AugDid you miss our July educational programs? July was not only filled with holiday vacations, it was also a big month for educational programs taught by our own Barb Anderson. She spoke at two events that were jammed packed with a wealth of information. 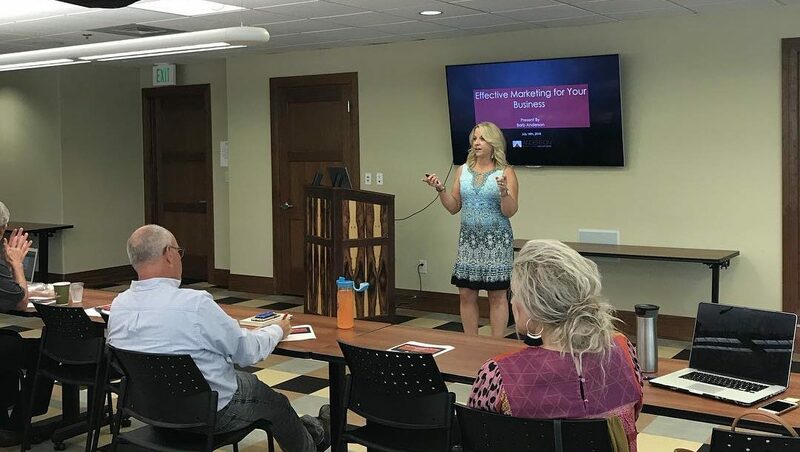 The first program was a webinar sponsored by the NAHB Sales and Marketing Council, in which Barb was the presenting speaker in “Best Practices in Collaboration and Marketing”. She discussed the steps necessary for success, based on her experience in the Denver SMC. If you missed it, you can logon here to listen to the recording. The second program was an educational course called, “Effective Marketing for Your Business”. The course focused on the essentials of marketing, knowing your company’s why and how tactical applications are key elements for your business success. Here is a quick video snapshot of the program. Want to learn more for your own business? Contact us today to get the latest info for Barb’s next speaking venue!